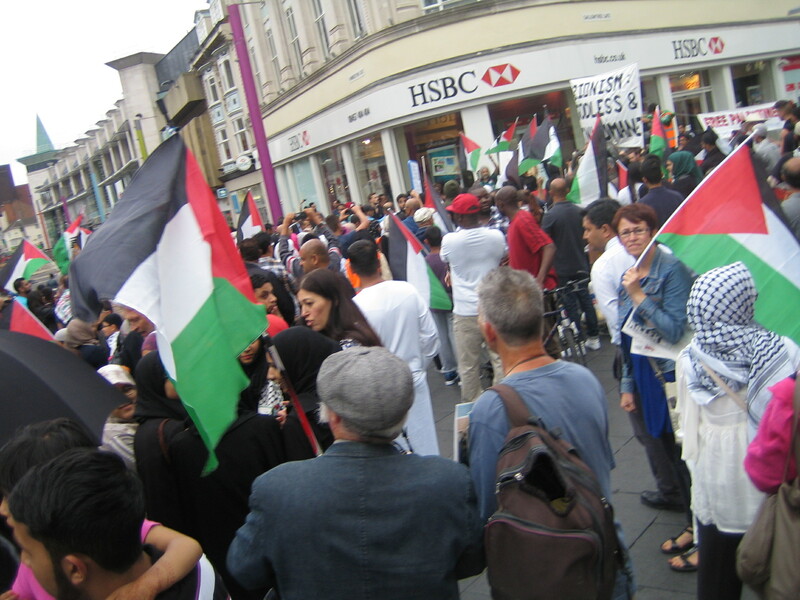 Around 300 people attended a vigil for Palestine at the Clock Tower, Leicester, today. 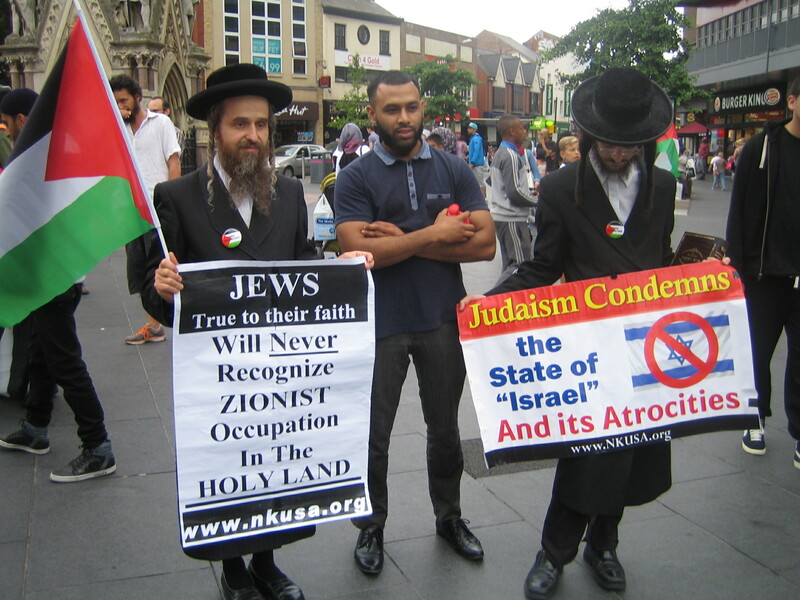 Hasidic Jews stood with Muslims and people from all walks of life to protest against the collective punishment being imposed on the Palestinian people by a brutal, Apartheid, Israeli regime. 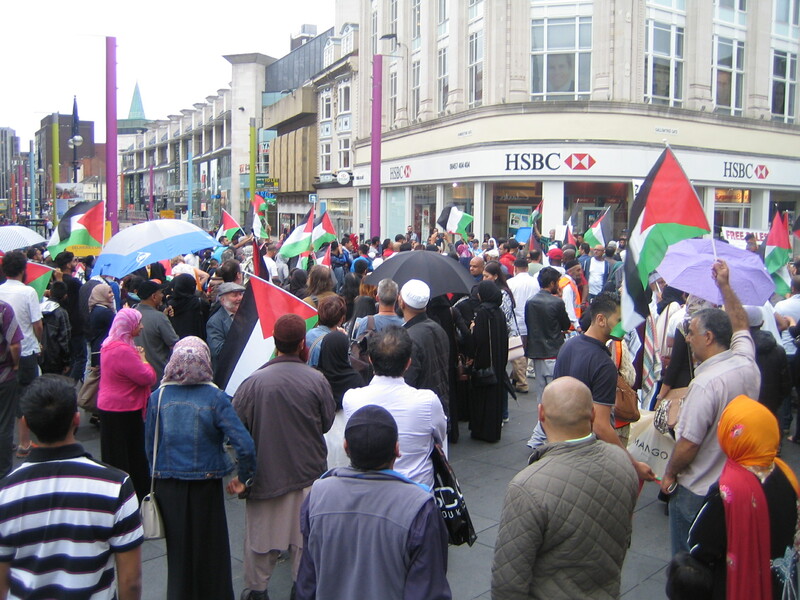 Several councillors and the City Mayor Peter Soulsby spoke in support of the Palestinian cause at the vigil. Representatives from the Sikh community and Palestinian Solidarity also spoke. 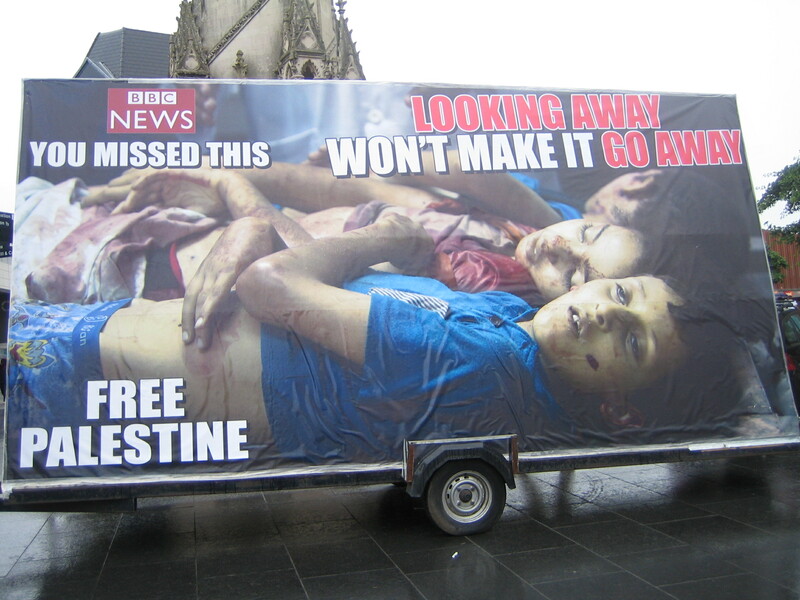 PSC called for a boycott of Israeli goods – this was an effective weapon against Apartheid South Africa. 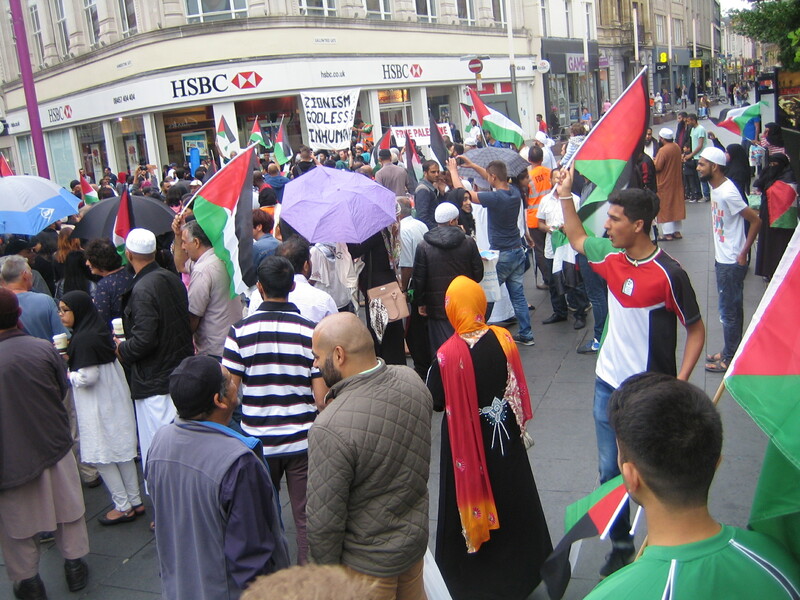 In Preston and Tower Hamlets, the Palestinian flag has been raised at the Town Hall in solidarity with the Palestinians – we should be calling for this in Leicester given the utter brutality of the Israeli onslaught on Gaza. The trade union movement has also began to take up the struggle with both the FBU and Unite making statements – this should be escalated. 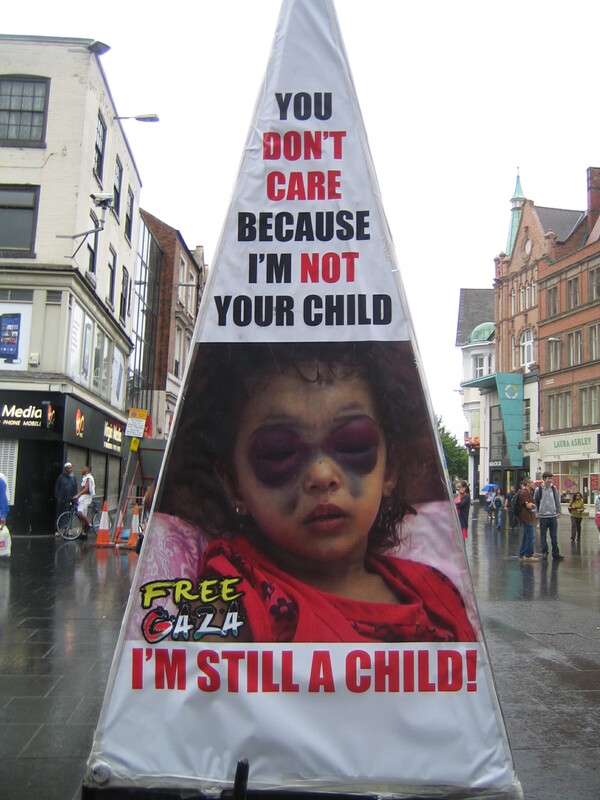 Their struggle is ours as this Tory government continues to sell sophisticated weaponry to Israel whilst making cuts to our benefits and public services at home. 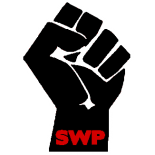 This entry was posted on Aug 1, 2014 by leicestersocialistworkersparty in Uncategorized.